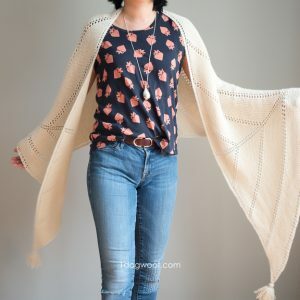 I have gotten a few questions regarding how to crochet in the round, especially regarding the t-shirt rug I put together. And I realized that I had missed putting this tutorial together during the Crochet Along we had earlier this year. So, I’m making up for it. 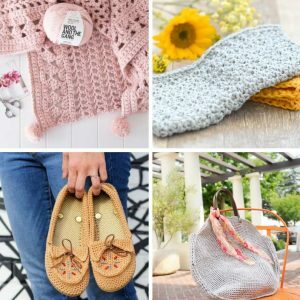 Here are two ways you can start crocheting in the round – either using the magic circle method, or what I call the “Chain 2” method. Who knows if that’s the real name, but that’s the name I’ll be using. There is a fairly significant difference between these two methods, and each is useful in its own way. Let’s take a look. The magic circle allows the the circle to be closed off, which is great for amigurumi or anything else that’s stuffed and you don’t want the stuffing to come out. It’s also great for rugs and coasters where you want a solid center. 1. Start as if you are making a normal crochet start, but don’t finish the know. Leave the loop loose and open. 2. Create one chain onto the hook and then pull tight. Now you’ve begun the magic circle with a standing start. From here, you can single crochet the number indicated in your pattern. Usually it’s 6 SC. 3. After you finish the number of indicated single crochets, take the tail and pull tight. You can complete the circle by slip stitching into the first single crochet you made. If you are choosing to work in rounds using a spiral, you would single crochet into the first SC instead of using a slip stitch. That’s the first round of your magic circle. From here, you either work in rounds or in spirals according to your pattern. On the other hand, maybe you want to make a mandala or coaster with an open center – then you’ll want the chain 2 method. This leaves a small open hole in the center of the circle. 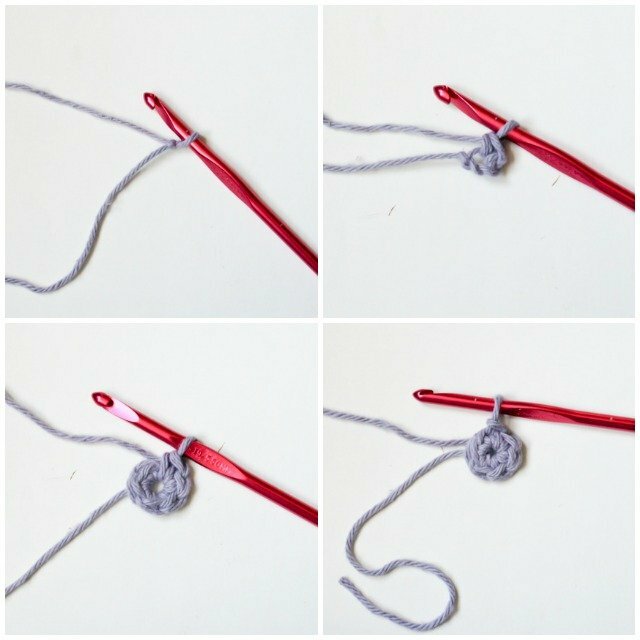 To start this method, start as you would a straight crochet, with a knot on your hook, and then Chain 2. Then, work the single crochets into the 2nd chain from the hook (which is actually the first chain you made). Let’s say your pattern says 6 SC for the round. You will work 6 SC into the 2nd chain from the hook, and then either end the round with a slip stitch or a single crochet into the first SC you made. There’s nothing to pull tight here, and you will be left with a small hole in the center. I hope you found this short tutorial to be useful! I really like working in the round and there’s so much you can do with it. As a matter of fact, I’ve got some fun projects coming up that uses the magic circle, so you can be sure I’ll be referring back to this often! « Hidden Veggies Round-Up: Hide Vegetables in Smoothies! Looks great! I like your explanation of when to use each method! I really like your color block baskets and want to try to make them. I’m an inter. 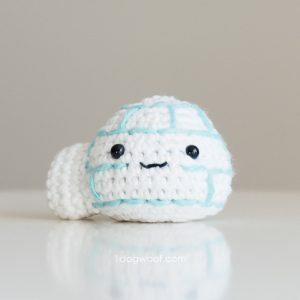 crocheter, but I can’t seem to grasp the magic circle… Do you have a video on this method?? I’m sorry but just showing a picture of it “after” it’s been done, does nothing to help me, or anyone for that matter.